Over half of the incidents reported to the UK’s new national computer emergency response team (CERT-UK) in the first three months of its operation were not related to critical national infrastructure (CNI), according to the organisation’s first quarterly report. 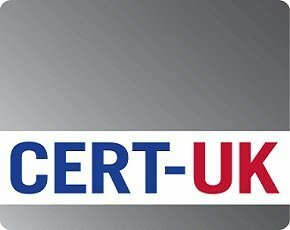 CERT-UK’s main purpose is to support the CNI, which includes the government/public sector, energy, water, defence, transport, financial services, academia, supply chain and professional services. Announced in December 2012 as a key element of the government’s £650m cyber security strategy, CERT-UK was initially set to launch by the end of 2013, but was later rescheduled for 2014. “The vast majority of [non-CNI] incidents were ‘abuse’ reports (relating to phishing websites, networks sending spam emails, and so on),” said the report. In terms of CNI sectors, government (13%) and finance (11%) reported the most incidents.The first quarterly report, which covers April to June, revealed that 25% of incidents involved malware. “Some organisations are able to handle the incident through existing capabilities, while others decide to bring in a cyber incident response-certified company to assist them,” said CERT-UK. The report revealed that denial of service (DoS) attacks were low. This indicates better responses to these attacks and that organisations no longer need assistance, said CERT-UK. “DoS attacks have risen in prominence over the last few years, and the mitigation advice relating to them is well established,” it said. CERT-UK said that during the three-month period, the Heartbleed bug highlighted the importance of an accurate inventory of software and keeping up to date with vulnerabilities in it. Reports to CERT-UK relating to social media account compromises and data loss were very low, the report said, “presumably because these are normally reported to law enforcement and the Information Commissioner's Office”. CERT-UK expects malware to continue to be the main threat in the coming months and calls on businesses to get the message across to senior executives that cyber security is important.